Archival Research @ UGA Special Collections: A How-To Guide: What Are Archives? How Do I Do Archival Research? What's So Special About UGA's Special Collections? What ARE Archives? And how do I find ours? An archives is a place where people go to find information. But rather than gathering information from books as you would in a library, people who do research in archives often gather firsthand facts, data, and evidence from letters, reports, notes, memos, photographs, audio and video recordings, and other primary sources. Where is the Special Collections Library? What does it look like? We're located on the corner of Hull and Waddell Streets one block behind the Holiday Inn on Broad Street and one block west of Lumpkin Street. About: The mission of the University of Georgia Special Collections Libraries is to acquire, organize, preserve, and provide access to unique and rare materials related to the history and culture of Georgia. 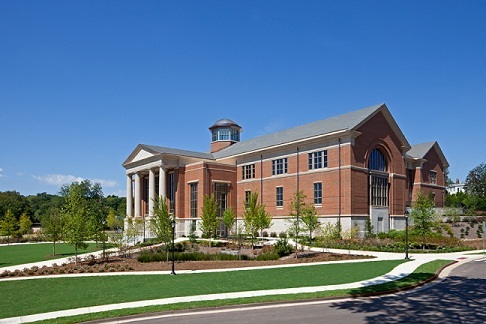 The Richard B. Russell Jr. Special Collections Libraries Building houses the Hargrett Rare Book and Manuscript Library, including University Archives, the Richard B. Russell Jr. Library for Political Research and Studies, and the Walter J. Brown Media Archives and Peabody Awards Collection.